Once upon a time, there was a pumpkin living in the field with many other pumpkins that the peasant had raised. Our protagonist is called Rossie and she was the smallest pumpkin of the vegetable garden. That is the reason why one day the peasant gathered her up from the ground and threw it away saying: “this pumpkin it is no use, is too small”. Rossie went to look in the mirror and saw her new aspect. 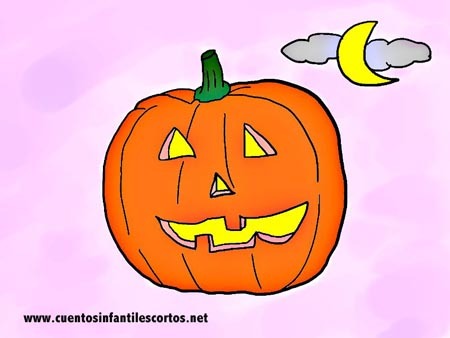 Now was a very big pumpkin, with a scar on her face that made the form of a smile. Rossie went from being a good pumpkin to be a terrifying pumpkin, angry and resentful. Since that day on, Rossie decided to appear every halloween night to scare the children at the street. When Mister peasant found it out, realized that he should have treated Rossie as he treated the others, ignoring that she was smaller, because all the pumpkins should be the same for him.